Incredibly Powerful 7th Generation Intel Core i3-7100U Dual-Core Processor. Easily keeps up with all your multitasking demands and enables new ways to interact with your PC.Ultra-low-voltage platform. Dual-core processing performance. Intel Turbo Boost Technology delivers dynamic extra power when you need it. Stunning 15.6-inch diagonal FHD SVA BrightView WLED-backlit Display (1920x1080). This stylish laptop offers reliable performance and long-lasting battery life so you can easily surf, stream, and stay in touch with what matters most. 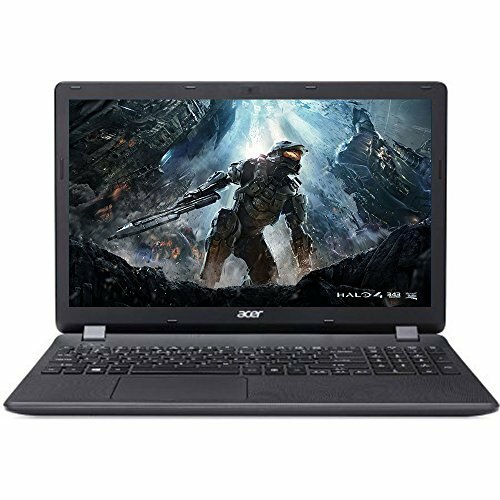 Memory: 8 GB DDR4 SDRAM Hard drive: 1TB hard drive.Substantial high-bandwidth RAM to smoothly run your games and photo- and video-editing applications, as well as multiple programs and browser tabs all at once.Holds a sizeable collection of digital photos, music, HD videos and DVD-quality movies. Fast Speed with 1TB HDD hard drive.